Elana Johnson has decided to "spread the awesome" and facilitate a book lovefest on her blog. If you click on the "recommended reads" link in her post today, it will take you to a list of all the bloggers participating and the books they'll be giving away!! Or just follow the path--At the bottom of Elana's post, she sends you to another post, at the bottom of that post they send you to another one, and so on, it's like a free book highway. There's like a hundred of them so your chances of winning a book in the coming week are amazingly high. *While driving, hold your breath through tunnels (please don't pass out on long ones). *Find some birthday candles to extinguish. *Press your thumbs (I have no idea what this means, but our German foreign exchange student used to always tell us to do that for luck). 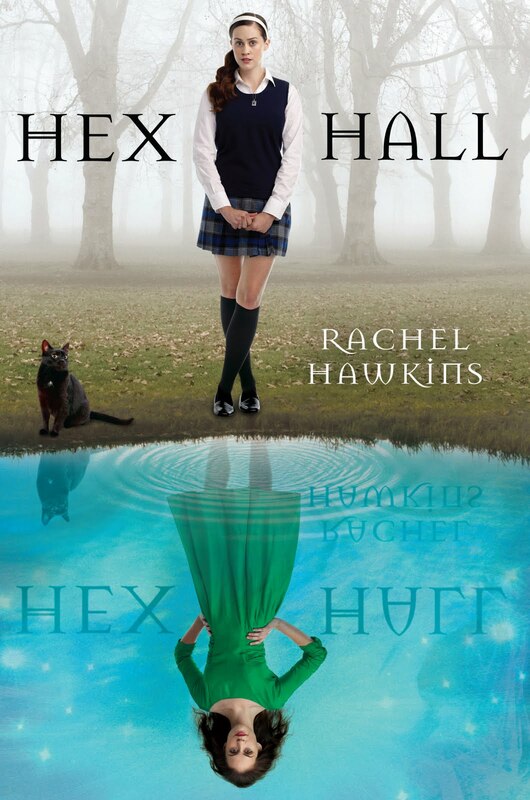 And for my part in the madness, may I recommend the debut author: Rachel Hawkins and her lovely book, "Hex Hall". I've already reviewed the book on my blog, so click here if you want to know more about it. I enjoyed this book thoroughly and would love to give you a chance to win it! I'll make the rules simple: Leave a comment for one entry, become/be a follower for another entry. And even if you don't win it, you should read it, because it is awesome. I'll announce my winner on Friday. And to continue on the "love highway" for another recommendation go see Valerie Kemp for a chance to win "Stolen" by Lucy Christopher. I want this one! And, uh, I wasn't following you before? I feel kind of lame. Sorry! I've heard so many great things about Hex Hall. But I haven't read it yet. And now, I think I will lose half of my reader life if I don't get to read it. Please include me in the giveaway if this is open internationally. I'm a new follower. I found your blog through Elana's. Ahh yes, I can't even tell you how freakin' fabulous this book is! I have so many awesome books to read now! Yay! Looks like a fascinating book. Consider me entered! I have to admit, I might judge a book by its cool cover! I've been wanting to read this, so yeah, please enter me once for this hello and once for following. I've really enjoyed this book-love event of Elana's! I've heard so much about this one! Thanks for the review! Oooh! This is one I totally want to read!!! :) And I follow, because you're awesome. I want to read this one. And, I totally follow you now! Sounds like a great book and I'm alread a follower. Luckily it was just my daughters birthday does that count. I now follow your blog. Please include me in the giveaway. Wow. I started at the top of the cover art and my eyes slowly traveled downward as I scrolled down on the screen. As soon as I saw the blue water, I went "woh" and was taken aback, quickly looking at the whole thing. It looks incredible. I love that cover and I love that you shared your thoughts with us! Sorry I wasn't a follower before, what is going on? I'm already a follower, and I'd love to win it! Hi kasie - thanks for the all the unhelpful but fun new ways to get some luck. sounds like a fun book - hope I win it. Ooh! Thanks for the reminder -- this book has been on my must-read list for too long! I've been waiting to read this since i finished reading the extract chapter!!! Sign me up!!!!!! Oooo, love the cover! I'm now a follower. I first saw this one on my amazon page...someone who bought my book bought this one, and I was intrigued by the cover. Sounds like a great book! That cover is made of awesome. Enter me please, I've been dying to read this one! I just became a follower---this book is high on my tbr list! This is on my wish list!!! I would love to win this :) Thanks! I would love to get my hands on this book!! I love rachel hawkins sooo much! This one's a must for me! Definitely in the TBR pile! The cover alone makes me want to read it. Thanks for sharing!